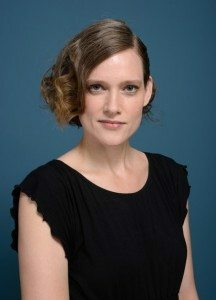 Canadian novelist Emily St. John Mandel has been named winner of the U.K.’s Arthur C. Clarke Award for Science-fiction for her dystopian novel Station Eleven (HarperCollins Canada). The PEN–Faulkner Award–shortlisted and Baileys Women’s Prize–longlisted (and George R.R. Martin endorsed) title follows a travelling group of artists who perform Shakespeare across post-pandemic Year Twenty U.S. The annual prize, which recognizes the best novel of the genre published in the U.K. the year prior, is judged by a panel comprising members of the British Science Fiction Association, the Science Fiction Foundation, and the Sci-fi London Film Festival. It awards a purse of British pounds equal to the current year. 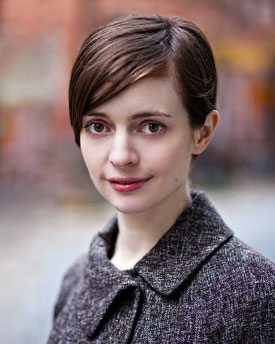 St. John Mandel will receive her £2,015 prize at a ceremony at London’s Foyles Bookshop on May 6 as part of the lead-up to the Sci-fi London Film Festival, occurring May 29–June 7.